April 21, 2019 .Reading time 11 minutes. Well, the last week or so has certainly proved just how popular Jumpsuit patterns are within our sewing community! There appears to be one clear leader at present, the newly released Zadie Jumpsuit from Paper Theory. 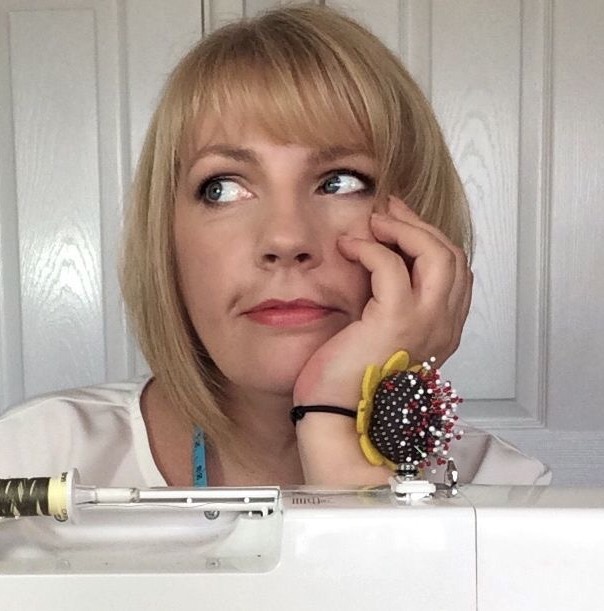 So today I have something just a little bit different for you; a guest post from my fellow #sewtogetherforsummer co-host Suzy (aka @sewing_in_spain) talking you through her experience of sewing it up – twice … including a helpful tip with regard to narrow hems! If a woven jumpsuit doesn’t ‘float your boat’ she’s also showcasing her fab knit Abi Jumpsuit from AK Patterns! “Thanks Sarah for inviting me to share my jumpsuit pattern experiences on your blog. Even before the end of last year’s #sewtogetherforsummer IG challenge, Sarah, Monika and I had already focussed on the jumpsuit as the garment for the 2019 challenge; it was perfectly on-trend and offered a new sewing experience. Although I have to confess, I hadn’t imagined before then that the Jumpsuit was my kind of garment! Still, I jumped at the idea 😉 That’s the beauty of sewing your own wardrobe; we can try new shapes, colours and styles and sometimes we fall in love with the unexpected! So here are reviews of the two patterns – the Zadie Jumpsuit by Paper Theory and the Abi by AK Patterns – with which I planned to start my jumpsuit journey.